It’s time to prepare your holiday bag! And this year will be able to do it with style, thanks to the Lattice Toiletry Bag Light but spacious enough for everything you need on your Holiday. Ideal for keeping all your beauty essentials, such as shampoo, body lotion, make-up, among others, organized at home or for travel to take. The Lattice Toiletry Bag is an indispensable accessory. 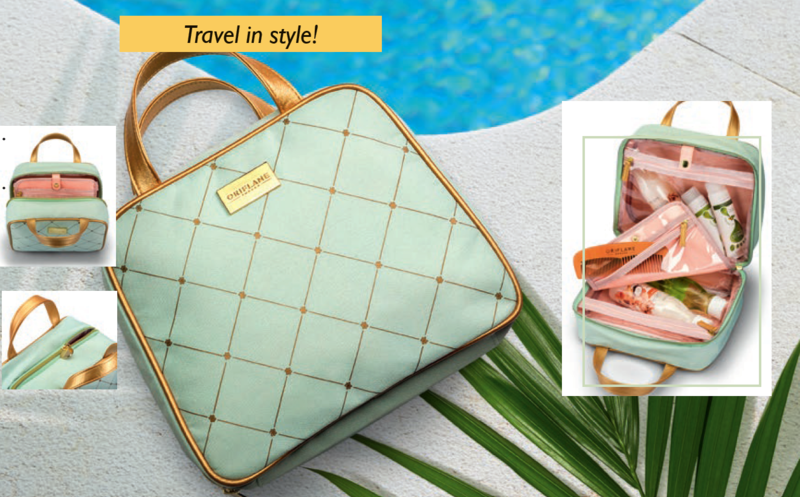 Lattice Toiletry Bag versatile and charming, in polyester, in a beautiful pastel green tone and pattern, handles and golden details. The interior features a spacious central compartment, six pockets and a brush holder. 23.5 x 12.5 x 19.5 cm. Code: 29533 YOURS AT ONLY £14.95 when you spend £20 WHILE STOCK LASTS!